First Lady Melania Trump is in the hospital after she underwent a successful "embolization procedure to treat a benign kidney condition," according to a statement by her office. "This morning, First Lady Melania Trump underwent an embolization procedure to treat a benign kidney condition. The procedure was successful and there were no complications," reads the statement. "Mrs. Trump is at Walter Reed National Military Medical Center and will likely remain there for the duration of the week. The First Lady looks forward to a full recovery so she can continue her work on behalf of children everywhere." Meanwhile, former Senate Majority Leader Harry Reid (D-NV) underwent surgery for pancreatic cancer on Monday morning at Johns Hopkins Hospital in Baltimore, where doctors removed a tumor according to a statement from Reid's family. "Today, Former Democratic Leader Harry Reid underwent surgery at Johns Hokins Cancer Center to remove a tumor from his pancreas," the statement reads. "His doctors caught the problem early during a routine screening and his surgeons are confident that the surgery was a success and tha tthe prognosis for his recovery is good." 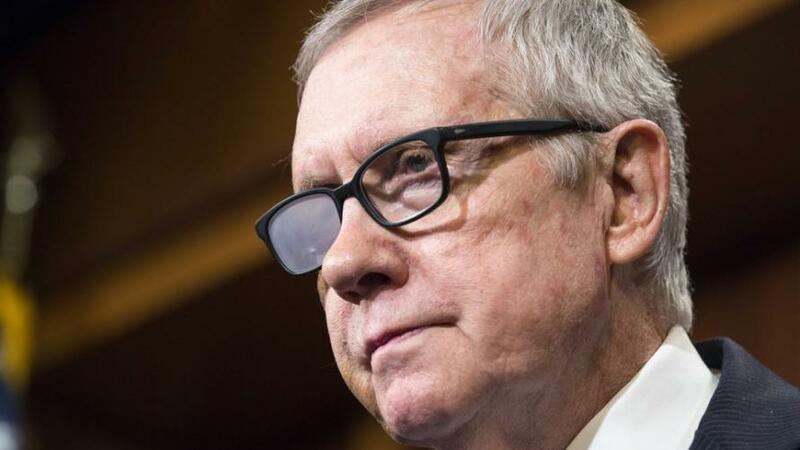 Reid, a Senator for 30 years, retired last year after announcing that he would not run for reelection, and has kept his diagnosis "very quiet" according to KLAS-TV journalist George Knapp. Sending positive vibes to former Senate Majority Leader Harry Reid, who underwent cancer surgery this morning. Reid kept word of his diagnosis very quiet. We will have further details soon. He will undergo chemotherapy for the next phase of his treatment, according to the statement. Senator Chuck Schumer (D-NY) says he has spoken with Reid's family and that the operation "went well." Spoken to family and it seems @SenatorReid's operation went well. We are all praying for dear Harry’s speedy recovery.